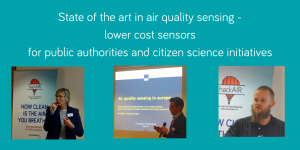 The Round Table on “New opportunities for air quality sensing: lower cost sensors for public authorities and citizen science initiatives” was organised by the Joint Research Centre of the European Commission and hackAIR. It took place on October 24, 2018 in Frankfurt. A diverse group of governmental authorities, network operators, citizen science initiatives, environmental NGOs and academic researchers met for a full day to explore how we can collaborate and better leverage each other’s work. We welcomed 46 participants, representing 41 organisations from 14 countries. The broad range of organisations created opportunities for cross-sectoral and transdisciplinary discussions. The agenda provided a well-prepared mix of presentations, break-out sessions and plenary discussions. 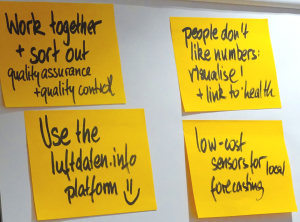 Inspiring case studies and presentations led to interesting conversations across stakeholder groups and networks. Sources of air quality information keep increasing and policy seems to largely build on authoritative measurements only. 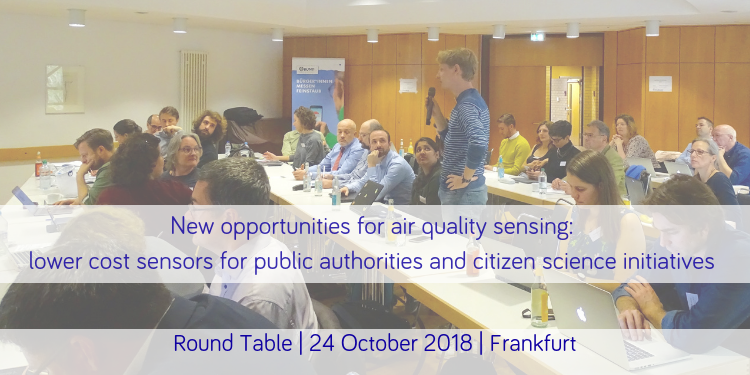 Given the available expertise, we investigated different perspectives in order to help stakeholders make better use of the available air quality information. 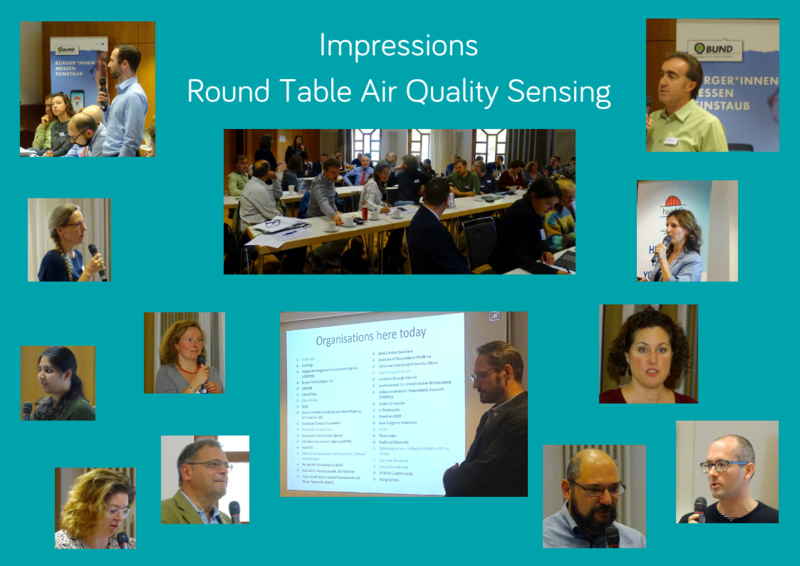 Following the presentations, participants joined break-out sessions to discuss the question: “What tips do you have to increase the uptake of air quality information by citizens, public administration and academia?” Each group focused on the perspective of one stakeholder group. Each group discussed the questions “What are the issues? What do we need?” and drafted recommendations and next steps. The outcomes from all sessions are used for a joint statement that is currently “work in progress” and will be published later this year. Follow-up actions will be suggested in order to continue the work that has been started at this Round Table.